London Assembly members have warned mayor Sadiq Khan that he should publish the cost of a new fare freeze as Transport for London (TfL) faces ‘unprecedented’ financial pressure. With TfL running a deficit of £1bn for 2018/19, and delays to the Elizabeth line (Crossrail) adding to its problems, the London Assembly’s Budget and Performance Committee has released a report into TfL’s finances and how they can be turned around. The report comes shortly after the transport secretary himself said TfL was in 'deep financial difficulties'. Committee chairman Gareth Bacon said: ‘The first-term partial fares freeze will end up costing TfL at least £640m; a second-term freeze could be substantially more, and it is simply not sustainable if TfL is to claw its way out of a perilous financial situation. 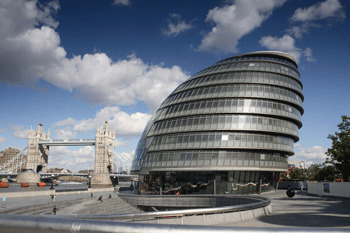 The committee also said the Government should draw up plans to devolve Vehicle Excise Duty revenue to London – a key ask of the mayor and London’s boroughs – and that TfL should commission and publish market research into new forms of advertising on its network, with proposals put out for public consultation. A TfL spokesperson said the organisation would publish a five-year Business Plan by the end of the year that will describe how it will manage the impact of the delay to the Elizabeth line and welcomed the committee’s call to Government ‘for a sustainable way in which to fund the maintenance of London’s road network’. The spokesperson said: ‘As the Committee notes, we continue to grip operating costs with more than £500m per annum in savings so far and raising more revenue through our property, advertising and other commercial assets.